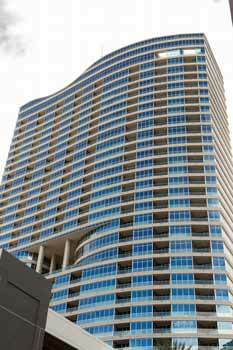 Panorama Towers finished completion in 2006 and stands at a total of 420 ft high, which at the time was the 16th tallest building in Las Vegas. 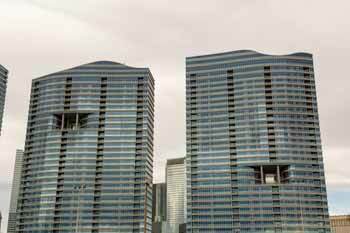 The Panorama towers were developed by Andrew Sasson and Laurance Hallier, which won many awards including, High-rise of the Year by Community Associations Institute and The Best of Las Vegas’ Architecture. 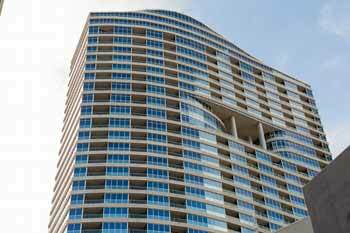 Each residence in the Panorama Towers is exceptional in design and layout. All units feature 10ft high ceiling with floor to ceiling windows, allowing for residents to take in the stunning views of the strip and Las Vegas Valley. All residences feature high-end finishes including granite counter tops, stone tiles in bathrooms and often times hardwood floor living rooms. Since The Panorama condos were designed to meet the needs of its residents, the amenities in this complex include a 5,000 square foot fitness and recreation center with spa facilities and his/hers lockers rooms and saunas. There is a also a yoga and Pilates rooms. Out side residents enjoy a luxurious heated swimming pool and hot tub with areas of lounge and sunbathing. 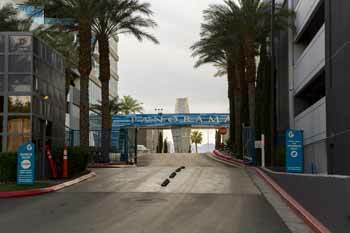 With the condos close proximity to the Las Vegas Strip, there is a never end list of the entertainment to be had, especially with the addition of the Harmon Overpass, which makes access to the Strip only 5 minutes away.